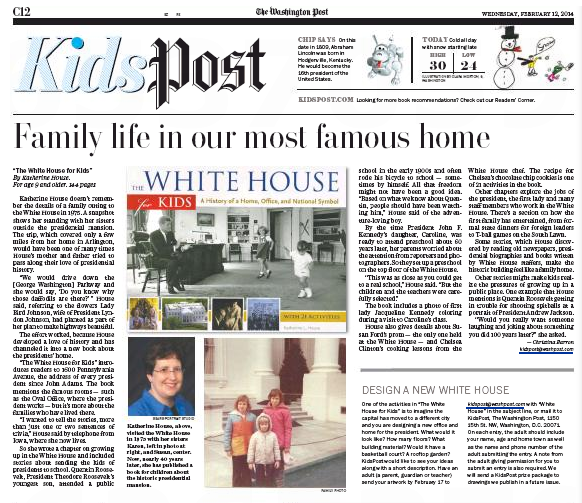 In the book, House uses stories, photographs and activities to bring history alive by portraying not only the history of the White House, but what the president’s job entails and what it would be like living there if you were a kid in the first family. I had the pleasure of being interviewed for an article on the upcoming “One Book Two Book Festival” here in Iowa City. The great thing about this event is that you do get to meet authors, hear them speak, have them sign your book, shake hands and ask questions. You can find out what inspires them or how they got their start. Readers and budding authors can make connections to how work is created. The organizers of “One Book Two Book” do a wonderful job of getting authors from across many genres to participate. I’m happy to be a part of the festival weekend! Be sure to check out the original article in The Gazette.